Dr. Heather Pua graduated the medical school from the UCSF School of Medicine and completed both her residency and fellowship program at the UCSF. She is specialized in pathology and board certified in anatomic pathology and molecular genetic pathology. 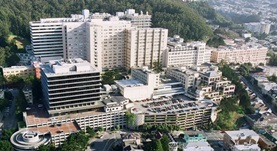 Dr. Pua has been in practice for a 1 year now and is affiliated with the UCSF Medical Center. During his career, she has also contributed to several publications of medical interest. Dr. Heather Pua has contributed to 3 publications. Pua, H. H.,Steiner, D. F.,Patel, S.,Gonzalez, J. R.,Ortiz-Carpena, J. F.,Kageyama, R.,Chiou, N. T.,Gallman, A.,de Kouchkovsky, D.,Jeker, L. T.,McManus, M. T.,Erle, D. ...; Immunity. 2016 Feb 07. Simpson, L. J.,Patel, S.,Bhakta, N. R.,Choy, D. F.,Brightbill, H. D.,Ren, X.,Wang, Y.,Pua, H. H.,Baumjohann, D.,Montoya, M. M.,Panduro, M.,Remedios, K. A.,Huang, X.,Fa...; Nat. Immunol.. 2014 Nov 05. Jia, W., Pua, H.H., Li, Q., He, Y.; J Immunol. 2011 Feb 1.